Everything you need to start preparing easy and healthy freezer meals! This bundle will teach you how to make homemade meals when you don’t have a lot of time or money…with one simple method that you can maintain over time! Hi! 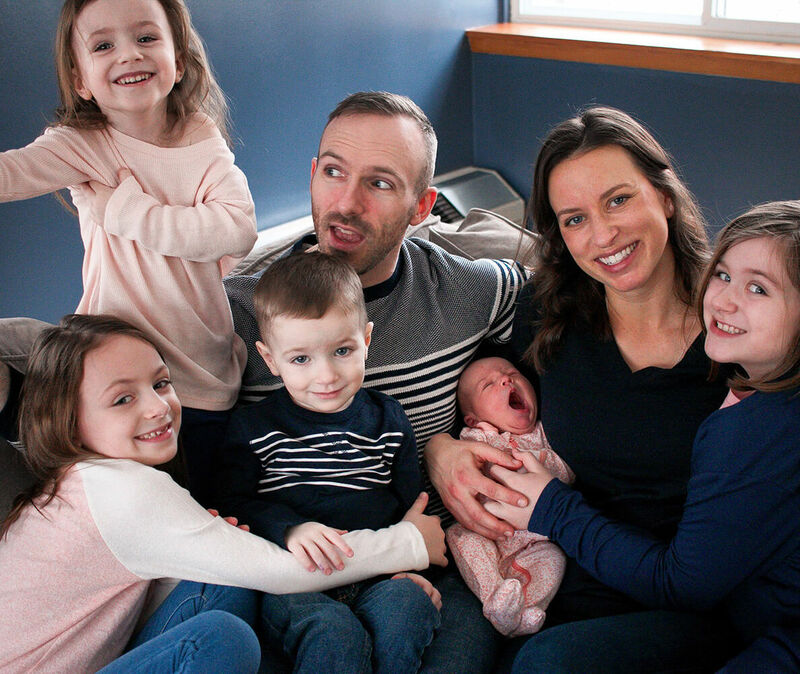 I’m Kelly, a mom of five, and I'm about to become your recipe-creating, list-making best friend! When I started blogging back in 2012, I noticed that the posts people loved the most were the ones about quick, healthy, freezer meals I made. I received dozens of comments asking if I had any other recipes I could share or where similar ones might be. I realized that I, or rather The Family Freezer, was the best friend that so many of my online readers needed. 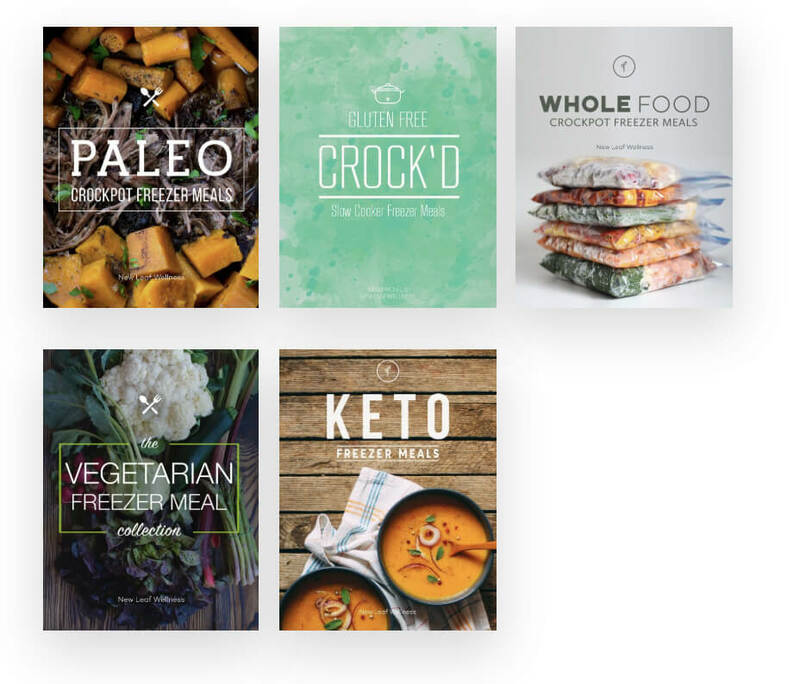 They needed someone who could create, plan, and organize quick, healthy freezer recipes so that they wouldn’t have to spend time doing that themselves. We know that everyone has distinct skills and strengths, well THESE are my skills! I am great at creating simple, healthy recipes for the freezer, and I am also great at organizing shopping lists and meal plans. I am your recipe-creating, list-making best friend! Over 40,000 people already bought my digital cookbooks and changed their lives. 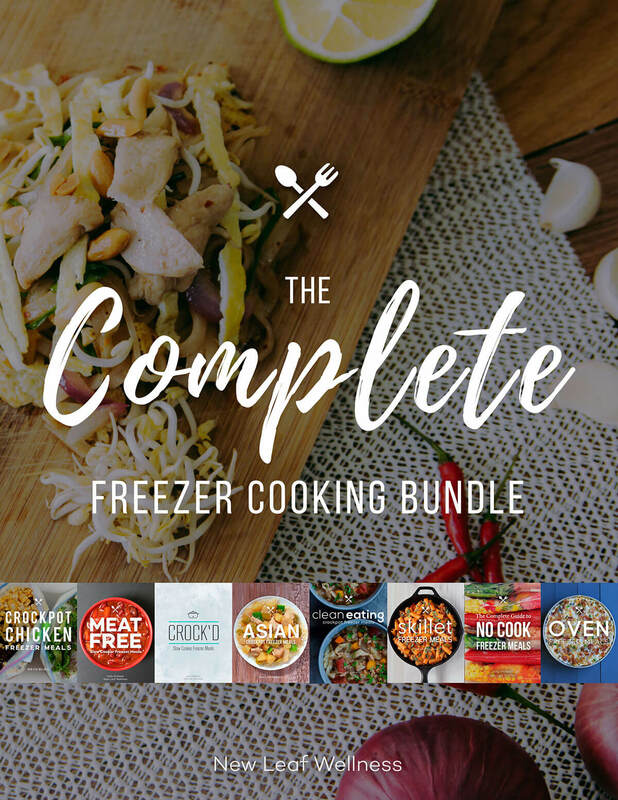 “The Complete Freezer Cooking Bundle is a total no-brainer for me! I used to have ten or fifteen other cookbooks on my shelf, but after trying a few recipes, I hardly opened them again. The Bundle, however, never lets me down! Every recipe is straightforward, tasty, healthy, and always right there at my fingertips!" Will the Complete Freezer Cooking Bundle work for you? You don’t have an hour to cook dinner every night. The Complete Freezer Cooking Bundle will make it easy for you to feed your family healthy meals on busy weeknights. Chop the meat and veggies, and combine in freezer bags with sauces and spices. Stack your meals in the freezer and store for up to three months. Thaw overnight or in the morning and add to your crockpot. Can you imagine coming home at the end of a long day to a dinner waiting in the crockpot? You wouldn’t have to stop at the store for last-minute ingredients or pray that something in your pantry is somewhat appetizing. You wouldn’t have to rely on take-out or other convenience foods. You could hang up your coat, RELAX, and chat with your kids about their day at school. Plus, your house would smell great! Digital cookbooks don’t have printing or publishing costs so we’re able to pass on the savings to you. No strings attached. I'm so confident that you'll love the bundle that we will refund your money if you're not satisfied. No questions asked. Is it safe to freeze raw meat with veggies? Yes. If you’re nervous about combining raw meat with other ingredients, let me assure you that it’s perfectly safe. (Remember, people cook raw meat and vegetables together in their crockpots and ovens all the time!) The USDA Food Safety and Inspection Service explains that freezing food inactivates any microbes that are present (like bacteria, yeasts, and molds). You will also cook the food before eating it. Yes. You won’t find any ingredients like condensed soup or soda pop. I try to eat as many vegetables as possible and very limited amounts of processed foods. The ingredients in my recipes are simple, healthy, and sold at most local grocery stores. Do freezer meals actually taste good? You bet. Since they’re frozen without any cooking ahead of time, they cook for the first time out of the freezer. That means they taste like freshly-prepared meals and not like leftovers at all. It varies per recipe, but the average is 6. You can decrease the number of servings by splitting each recipe into two freezer bags or two 9-inch pie pans. Do all of your crockpot recipes taste the same? Are they mushy? I spent YEARS creating and tweaking recipes so you would have enough variety in tastes and textures to eat them every night of the week. Can crockpot freezer meals be cooked in an Instant Pot pressure cooker? 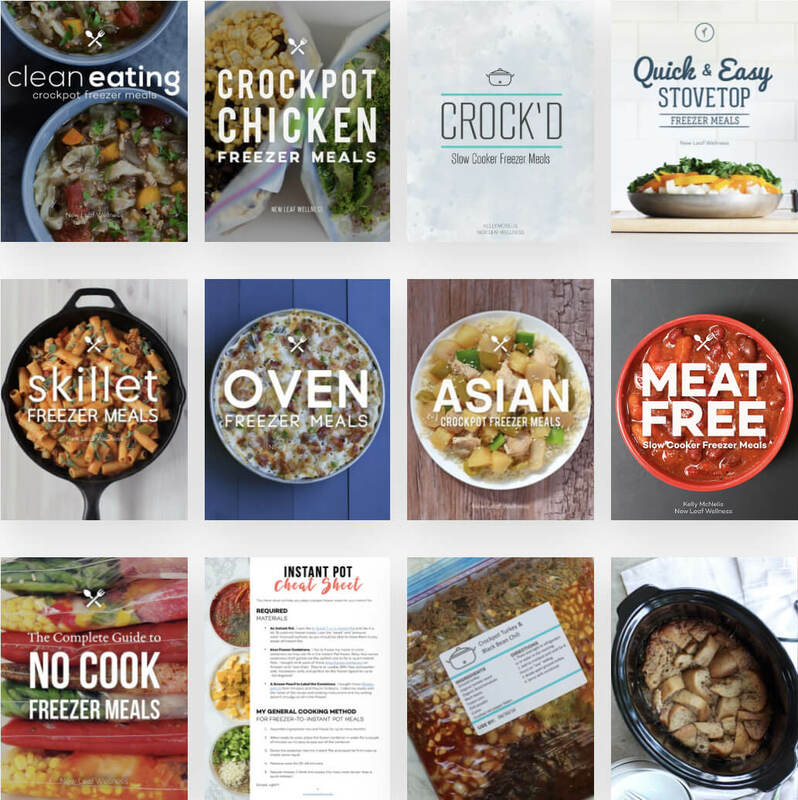 This bundle contains a 3-page Instant Pot “cheat sheet” that will teach you how to adapt crockpot freezer meals for your Instant Pot. What materials do I need to freeze and cook these meals? I freeze my crockpot and skillet meals in gallon-sized plastic freezer bags and my oven meals in 9×13″ aluminum or disposable pans. The meals are cooked in your crockpot, stovetop, or oven. How long will a freezer meal last in the freezer? Most freezer meals will last in a standard fridge-freezer combo for at least 3 months. Do you need to thaw crockpot freezer meals? If I remember ahead of time, I thaw my crockpot freezer meals overnight in the refrigerator, but usually I do a "quick thaw" in the morning by running the bag under water. The meals aren't thawed 100%, but I'm able to break them apart enough to fit in the crockpot. All of my cookbooks are PDF eBooks that can be read on computers, tablets, and smartphones. (No special e-reader required!) They are formatted to print on regular 8.5×11″ computer paper so you’re welcome to print copies if you want. After purchasing your copy of the bundle, you will be automatically redirected to a page where you can download your copies of the cookbooks. You will also be emailed copies to save to your computer.